We normally think of Pint Size for adorable hand pies and the famous salted caramel croissant, but the team can do couture cakes with the best of 'em. We recently started following Salume Beddu on Facebook too, much to the detriment of our wallets. The charcuterie shop and cafe posts mouth-watering offerings multiple times a day. Salame con nocciola. Toasted hazelnuts, tarragon, garlic, red wine. To say Cory King's Side Project Cellar was highly anticipated would be a huge understatement. This elegantly rustic setup makes us want to head over there ASAP. At first glance, this looks like a simple (but yummy) mug of hot cocoa. In reality it's even better, because it's got alcohol. Doughnuts + booze + holidays = Awesome. That is not a turkey. We repeat: That is not a turkey. It's an ice cream cake! So simple, yet so delicious-looking. We don't know what this is but we want it. 9. Pumpkin cranberry quinoa salad. As @ninjakitchen1 explains, you don't want to leave your gluten-free, vegan or lactose intolerant friends in the lurch. 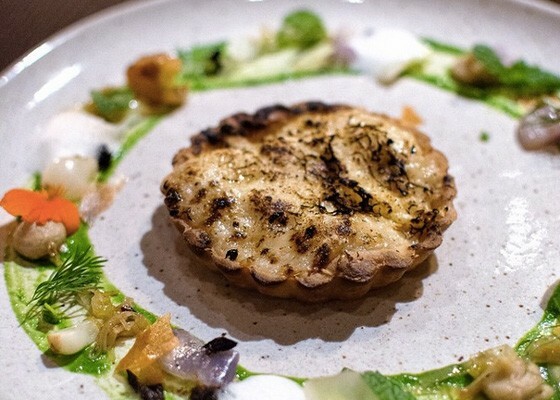 We were surprised by an onion tart, too -- but damn if that doesn't look and sound delicious.